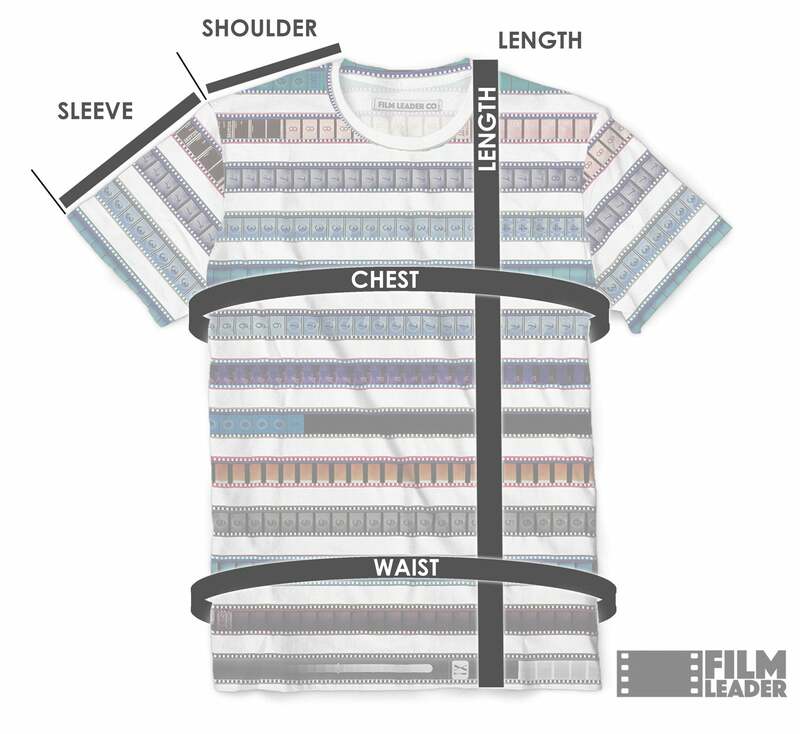 Crew Neck T Shirt with Blue 15/70mm Countdown Stripes - Film Leader Co.
Made of 100% cotton. Each shirt is a handmade one-of-a-kind piece, with variations in the design from shirt to shirt. Because each shirt is custom made one at a time, it may take up to 3-4 weeks to ship.